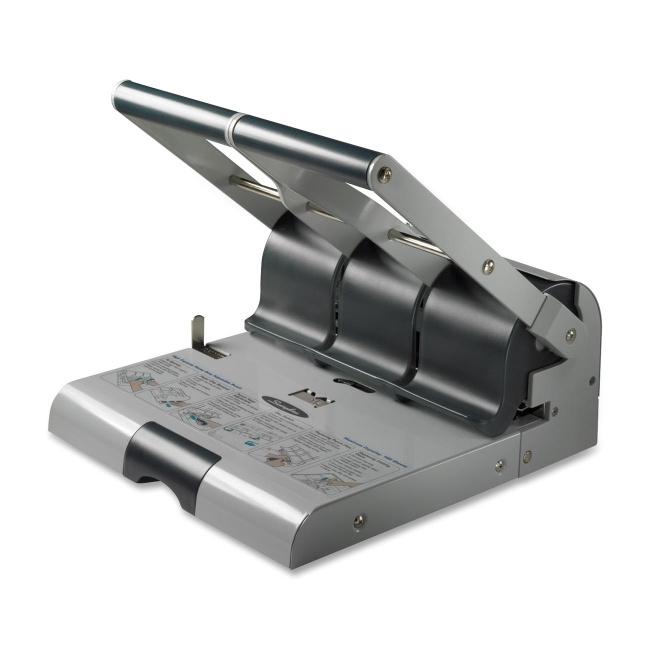 High Capacity Adjustable Punch drills through up to 144 sheets of 20 lb. paper. Made of durable metal for years of superior performance. High-quality, sharp cutting heads create clean 9/32" holes and perfectly aligned presentations. Plastic pad extends punch head life. Adjustable paper guide allows superior placement and depth control. Two or three-hole punching flexibility.